We are a Bible-based church. This means we search the Bible for guidance and answers to life’s biggest issues and how to know and do God’s will. We are a Spirit-led church. This means we that we seek God’s direction in our lives. We understand the Holy Spirit to be nothing less than God within us. We know that we are all sinners in need of a loving and forgiving savior. Jesus Christ loved us so much that he died so we could live forever with Him. We are commanded by Jesus through scripture to “go…make disciples of all nations”(Mat.28:19). This is our primary mission as a church, as part of the Body of Christ. We must seek out, find, identify, connect with, and ultimately bring to the lost the message of salvation through Jesus Christ. This is the Gospel that must be preached “to all nations”. By accepting God’s gift of grace through the crucifixion for all our sins, and resurrection of Jesus Christ signifying our new life in Him, and by repenting for and turning away from the sins in our lives. After Jesus’ resurrection he appeared to his disciples who still didn’t understand what Jesus was about, and left them with instructions to preach the gospel. We are part of the United Methodist Church Denomination world-wide and in particular, the Minnesota Annual Conference. Our pastors are appointed by the Annual Conference and not called by the congregation. They are called "itinerant" in the model of John Wesley, the founder of the Methodist Episcopal Church in England in the 1700’s. We encourage our members to participate in community activities aimed at improving the lot of those who may be temporarily or even permanently suffering from difficulties ranging from health to finance to physical issues. And when we do participate, we do it in the name of Jesus Christ, who gives us the power to provide whatever aid we can. It is commonly thought that people in churches are somehow better than those not in churches. This is totally false. In God’s eyes, we are all equal. The thing that really separates those within from those outside, is the knowledge that Jesus is our salvation from sin. WE ARE ALL SINNERS. This is an absolute. Only Jesus lived as a human being and lived without sin. We do not, and cannot live without sin. But we can live without sin controlling our lives. So if you fear walking through our doors because you are not "worthy", you must understand that you are no less important to God than those of us who are struggling with our journey to stronger faith within the church community. While you might fear rejection (and certainly, there are some well-publicized cases where churches have created this image), you must overcome that fear. Let us prove to you that knowing Jesus Christ is truly a life-changing experience. It will "Blow your mind". 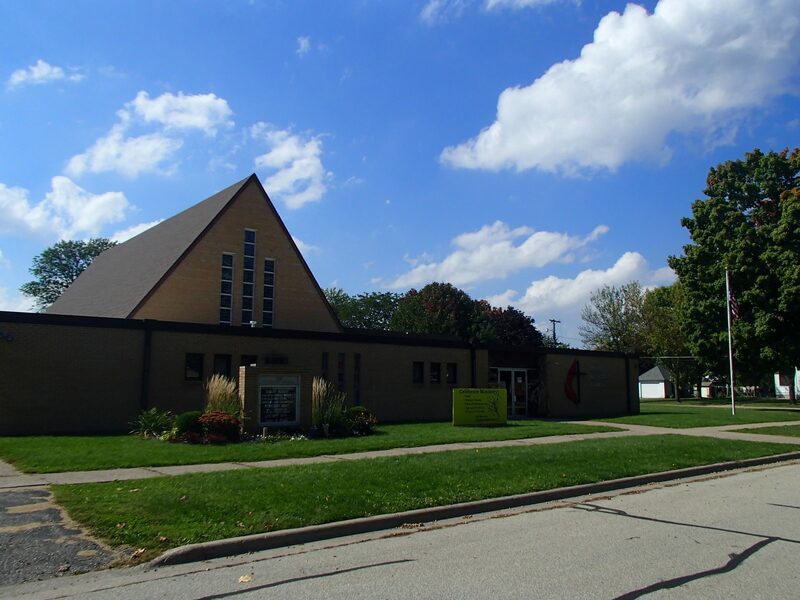 Our church community is embedded in the larger Lake City community which is centered on Lake Pepin, the largest natural lake on the Upper Mississippi River. Lake City is largely a tourist town and the marina is home to many boats that belong to folks that do not live in Lake City. Consequently, a lot of people come and go seasonally as well as weekly. Another community growing within Lake City is made up of those who commute to Rochester for work. A third community is made up of those rural folks that live on farms and ranches surrounding Lake City. Finally, there are those who live and work within Lake City at jobs in manufacturing, services, and health care. We still have a fairly vital city of about 5500 but with the trend to becoming a retirement community, the average age is almost becoming a senior citizen. Each of these communities have their own needs and interests, and it is the challenge of our church community to reach out to each of them and bring to them the Gospel. The United Methodist Church has its roots in the efforts of John and Charles Wesley in the late 1700's. They were sons of an Anglican Priest and early on grew uncomfortable with the lack of the Anglican Church's efforts to reach the poor and downtrodden. John went through a long transformation during which he attempted to reform the Anglican Church, but was not just cast out, but persecuted and nearly killed for his efforts. He persevered, preaching in the fields, on street corners, and at the coal mines in order to reach those the Anglican church neglected. He was called a "Methodist" because of his careful organization of both study and preaching, and as a term of derision. He is the father of the circuit rider preacher style and was known for putting enormous numbers of miles on his horse as traveled the country preaching. 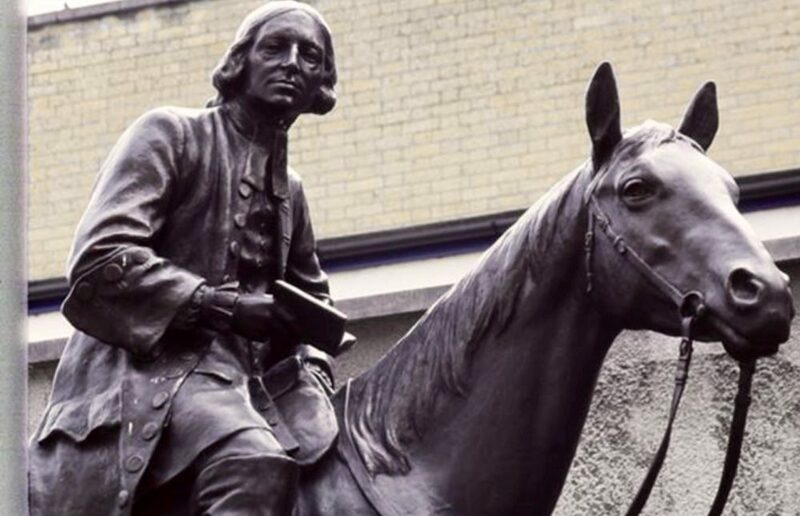 Wesley, an ordained priest in the Church of England, rode his horse throughout the country preaching to the disenfranchised and poor (that the Church of England was distinctly ignoring). He visited the sick in hospitals and those in prison and anywhere else that needed to hear the salvation of Jesus Christ. He truly tried to keep Jesus’ commandment to " preach the gospel to all creation". It is this heritage that has ever since Wesley, driven Methodists to plant churches everywhere in the world and to send both spiritual and physical aid and comfort to just about every major disaster that has occurred on this globe. 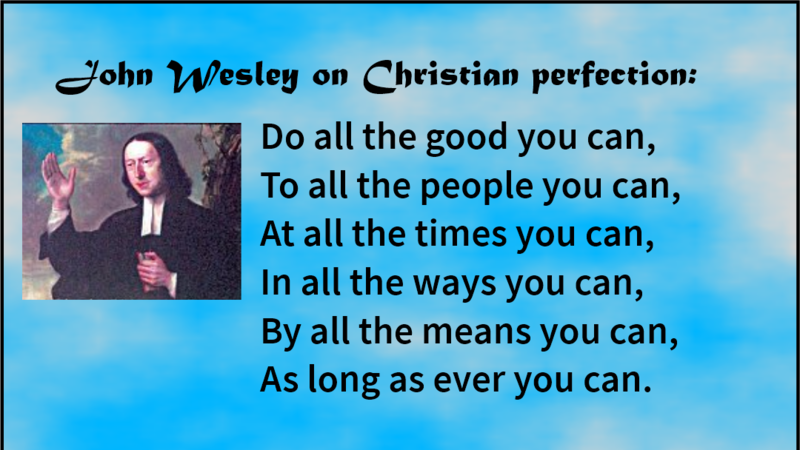 The result of Wesley's theology and practice came to the New World and planted churches in every town and hamlet across the young country. Circuit Rider Preachers pastored to these scattered churches while maintaining a connection to larger districts. Over time these districts formed the Methodist Episcopal Denomination. Then it split over the slavery issue during the Civil War. Other variations of Methodism split from the main line denomination, and during the ecumenical craze in the '60, s the ME church merged with the United Brethren to form the United Methodist Church denomination we have today. Lake City United Methodist Church has its roots in the Methodist Episcopal Church that was founded in 1864? in Lake City, MN and the original church was built on the corner of Oak St and Chestnut St. That church building was used until 1962? when it was replaced by the current building. Many pastors have served this charge over the intervening years. The Methodist Church has what are called “itinerant pastors” because they are appointed by the Conference and are moved from charge to charge every few years. The church community took on new life with Don Jones as pastor. Among some new things tried was a contemporary service separate from the traditional service. This began with a praise band of adults and some youth and became known as the "Live Alive" band and service. A strong youth program took hold under Rann and Val Loppnow and soon a Wednesday evening service was held for youth from 7th grade up. 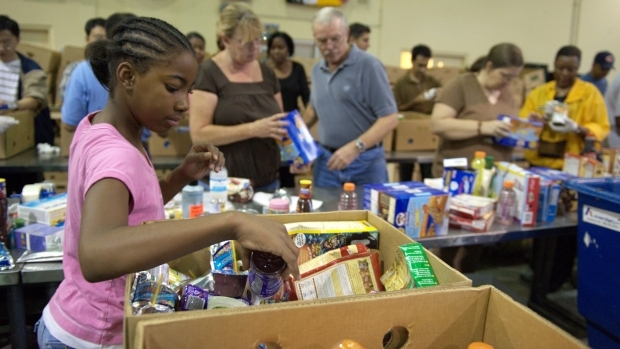 An Angel Food Distribution program was begun in 2009? and was successful until the parent organization was discontinued. While it was going, over a 100 families in the area were served with food each month free of charge. The Wednesday evening youth program began to attract younger kids from as low as 3rd grade because they were hungry. Volunteers began to take on the responsibility to feed and teach these children every evening for several years. It was heartwarming to have many of them become confirmed in our church when they reached high school. At its peak, over 30 kids were coming weekly to be fed physically and spiritually, as well as socially. Most recently, we have started a "packing for the weekend" food distribution program that is sponsored by the United Way and Cargill Corp. via our local Horizon Milling Operation. This program serves about 20 families and over 50 kids weekly. Other services we provide to our community include hosting the Red Cross Bloodmobile at our facility.